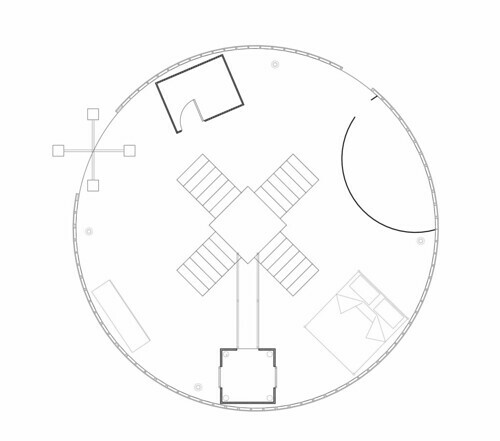 This Playground design is a circular structure with a central tower (steps leading up on all sides). There is also a side climbing platform with a bridge across to the central stage. There is a swing and a seesaw around the edge of the space. A bed, a walk-in wardrobe, an oversized cardboard box with a card table and chairs and a dancing room with a dress up box form the sites that performers inhabit and return to.